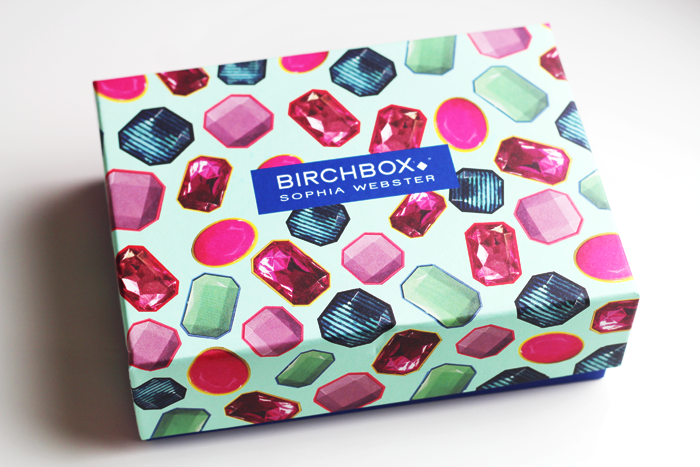 It's Birchbox time again and I must take the time to say that overall I've been really impressed with their boxes this year. Some have been particularly incredible and there hasn't been a month when I've not wanted to try at least 3 things in the box. For December the theme is putting on those party shoes and they have collaborated with accessories designer Sophia Webster. I have to admit until today I had never heard of Sophia Webster, but the jewels on the box itself are incredibly pretty. Honestly I'm not blown away, but there are a few things that I'm particularly excited about which totally make the box for me. 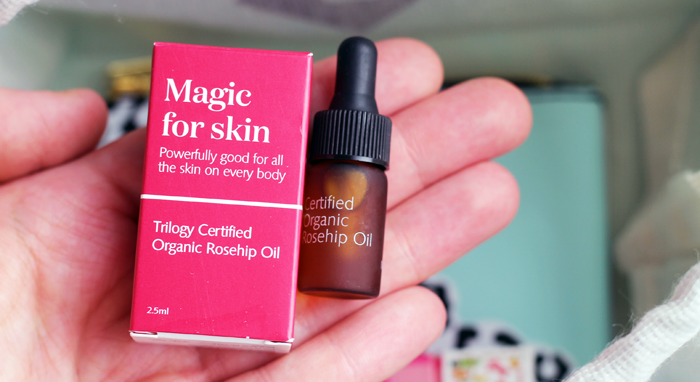 The Trilogy Rosehip Oil is something I've wanted to try for the longest time because I've heard such incredible things, so this will be going straight into my skin care box and I'm looking forward to trying it tonight. 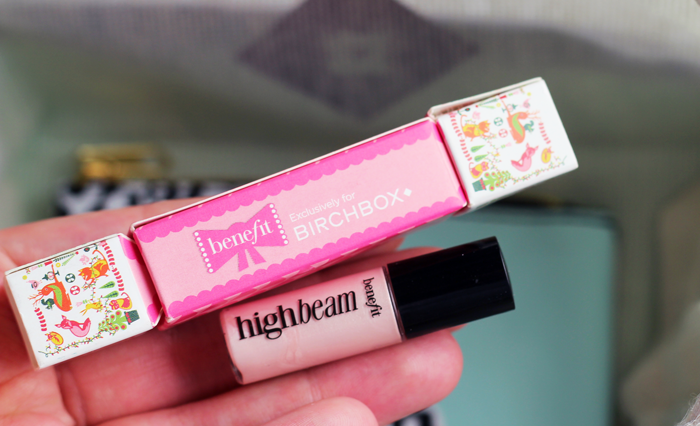 The second product I'm excited about is the mini Benefit High Beam because anything that promises a little illumination in the winter time has my attention immediately. 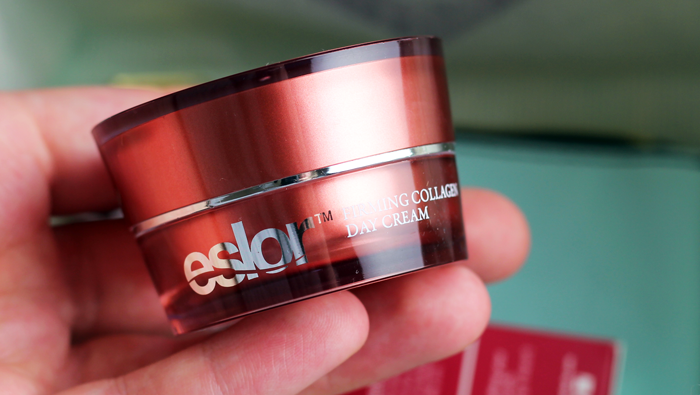 I'll be finding someone to pass the Eyeko Fat Stick on to because whatever look I could manage to create with a black eye crayon wouldn't be a good one, and I'm pretty happy with my current moisturisers so the Eslor Collagen Day Cream will be on its way to a better home soon too. The Models Own nail polish is a little strange, but I think I like it. It's almost a matte glitter, which doesn't make sense at all but I can't think of another way to describe it. The velvet lid kind of creeps me out though, the texture makes me shudder! And finally the Sophia Webster purse is really sweet. Leopard print isn't usually my thing but I quite like it here. The material or whatever it was packaged in has given it a really strong, unpleasant smell though so I'm hoping that will fade pretty quickly so I can get some use out of it - it'll be perfect for carrying a few cards and a little bit of cash very compactly. 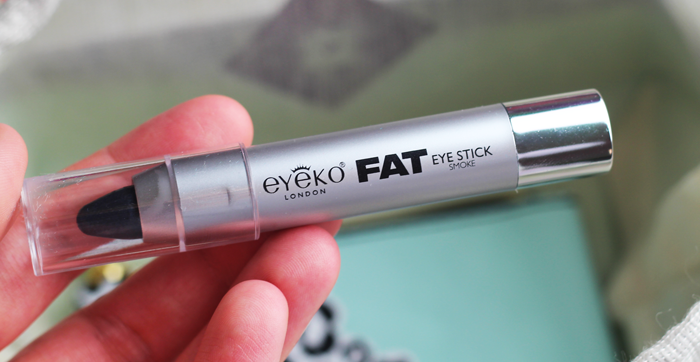 I am obsessed with the packaging! 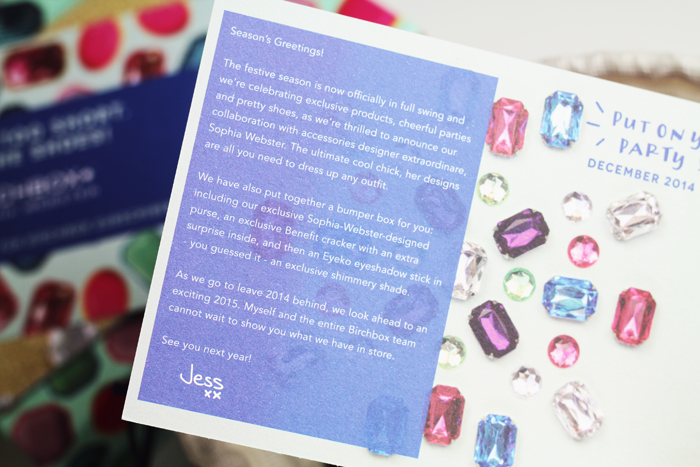 The gem print is stunning and all of the items inside look great. I just like the box! Haha! 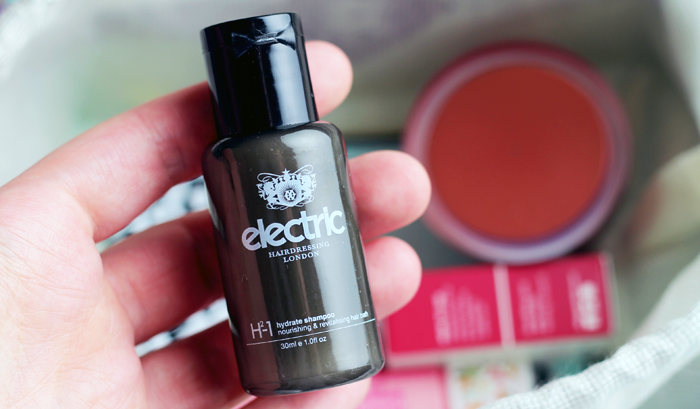 The products look great, especially the offering from Benefit and that Models Own nail polish has always intrigued me as well. 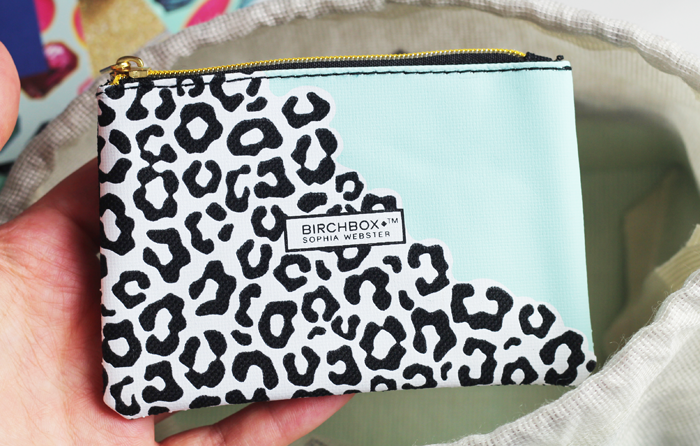 I can't get over how adorable that pouch is. 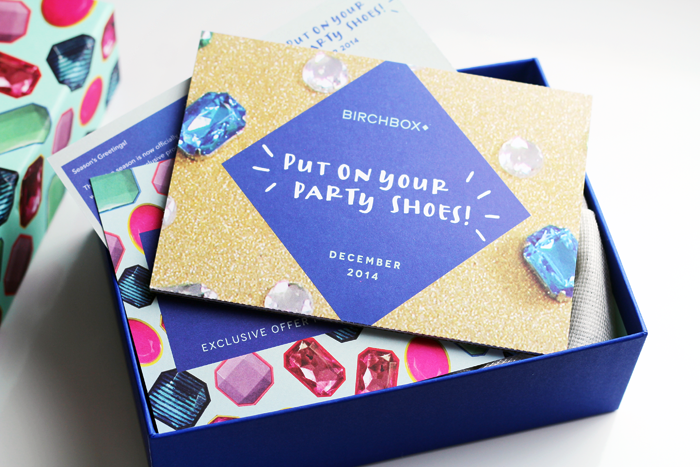 considering subscribing to birch box again! The jewels are so pretty! Unfortunately I cannot justify buying it just for the box since I have not much money left after Christmas shopping. I really like the cracker that High Beam came in too. I am beginning to think I have a thing about packaging. Such a great box! I love all the gems on the outside! Lovely review! 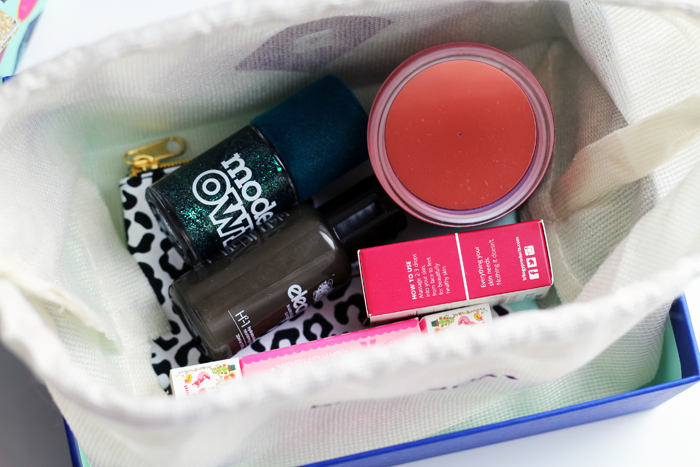 I've just uploaded my thoughts around this months birchbox too and I'm SO glad its not just me who is creeped out by the nail varnish lid! !